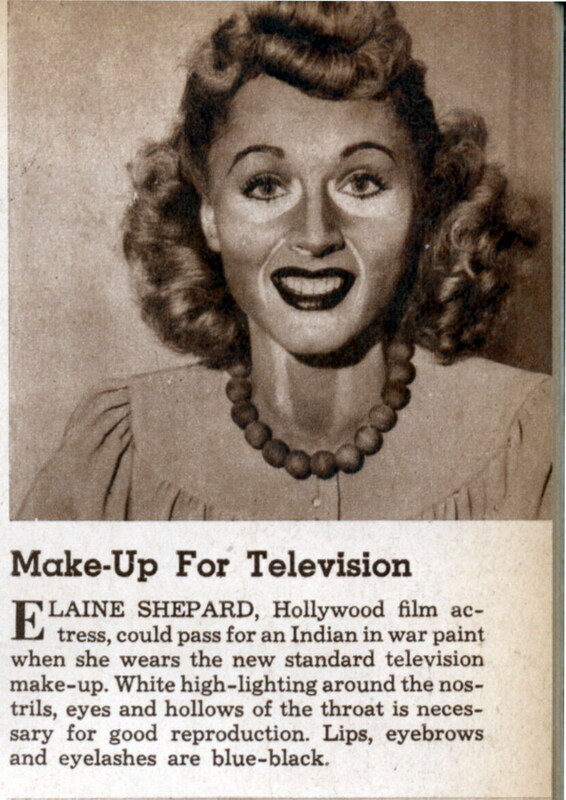 Elaine Shepard, Hollywood film actress, could pass for an Indian in war paint when she wears the new standard television make-up. White high-lighting around the nostrils, eyes and hollows of the throat is necessary for good reproduction. Lips, eyebrows and eyelashes are blue-black. Heh, yeah that’s what I thought too.